Tell us about YOUR All Hallow’s Read plans! We’re dying to know what you horror-fiction folks have planned for our favorite new holiday tradition! Let us know in the comments what you’re doing or what books you’re gifting for All Hallow’s Read this year! In the spirit of giving great literary scares and horror fare, we here at the DT offices want to extend our holiday book-giving to include our readers. We’ve been excited to pick out books for our own family and friends, but it wouldn’t be complete if we didn’t get to celebrate All Hallow’s Read with the folks who make this website such a fun venture! We’ll select people at random from the comments on this post to receive some fantastic fiction, as our All Hallow’s Read gift to you. One of our favorite authors around here is Bryan Smith. His work has always been a treat to those of us who like our horror bloody, fast paced, and well written. 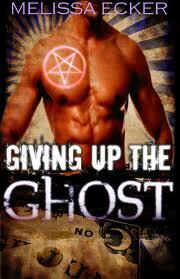 So we’re giving away two copies of his new e-book, Kayla and the Devil an urban fantasy novel we know you’ll enjoy. If you’ve been paying close attention to our Facebook and Twitter feeds, you’ll know the amount of love and respect we have for Ronald Malfi. And as we’ve always intended to bring you only the best in horror, we’re going to give away two e-book copies of his new novella, Borealis – a haunting and beautiful read that shook us to the core. Earlier this year, Colum reviewed 3 fantastic new novellas from Thunderstorm books’ Elemental series. We’ve got 2 signed bundles of those little books to give away: Kelli Owen’s The Neightborhood, Bob Ford’s Samson and Denial, and Mary SanGiovanni’s For Emmy. You’ll love them as much as we did! Dreadful Tales is also going to give away a bundle consisting of 4 hardcover copies of Locke and Key by Joe Hill and Gabriel Rodriguez. Yep. You heard that right. One lucky person is going to receive a complete set of Volumes 1 – 4 (Welcome to Lovecraft, Headgames, Crown Of Shadows, and Keys to the Kingdom.) Why? Because we love our readers! So let us know your plans in the comments! Or even just drop in to say hi. We can’t wait to share so many awesome books with you folks! The lucky giftees will be chosen at random from the commenters and announced next Saturday to kick off Halloween weekend…stay tuned! All Hallow’s Read is a book-giving tradition thought up by author Neil Gaiman. We’re making book suggestions all month long in case you need ideas!